Book Steve Ridgway as a keynote speaker. Steve Ridgway is best-known for serving as Virgin Atlantic's CEO from 2001 to 2013. For more information on business speaker Steve Ridgway, contact VBQ Speakers founding agent Leo von Bülow-Quirk on leo@vbqspeakers.com or 0044 7833 727090. Steve is best-known for serving as Virgin Atlantic's CEO from 2001 to 2013. He first met Richard Branson a few weeks after Virgin Atlantic's first flight to New York in 1984. At the time he had just returned from 4 years in the US working for powerboat manufacturer Cougar Marine. He was working on a project to design and build a boat to smash the famous Blue Riband Liner record across the North Atlantic from New York to the Scilly Isles. Virgin Atlantic became the sponsor of the boat and the two Virgin Atlantic Challengers were born. Steve was the project lead and throttle man on both crossings. The first boat famously sank only 130 miles from the finish in the summer of 1985 and the team had to go back the next year, breaking the record in 1986. 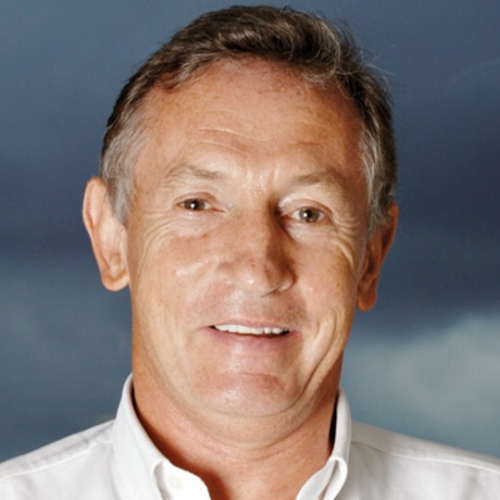 Steve then set up with Chay Blyth what was to become the highly successful BT Global Challenge series of yacht races around the World. By this time Virgin Atlantic was growing strongly and Branson asked Steve to join Virgin Atlantic. After a period as free-lancer Steve formally joined the airline in 1989. He became Managing Director in 1998 before rising to CEO. During his time at the firm, the company had a high profile ride, with rapid growth, many well known innovations and prestigious external shareholders. It also had its fair share of industry ups and downs and political spats. Steve is currently Chairman of Scandlines Ferries in Denmark and Chairman of Visit Britain, the UK Government's national tourist board. In a world of information overload, you have to cut through the clutter and be different. Steve's lessons, stories and anecdotes - as well as the fun he had over the years working with Richard Branson - have given him great insight into what building a successful and profitable brand is all about.